Aneel Nath is a Diplomate of the American Board of Periodontology, specializing in non-surgical and surgical maintenance of teeth and replacement of lost teeth with dental implants. Dr. Nath grew up in Las Vegas and attended University of Nevada Las Vegas where he earned his degree in Cell and Molecular Biology, after which he put to use working as a researcher at the prestigious University of California, San Francisco. 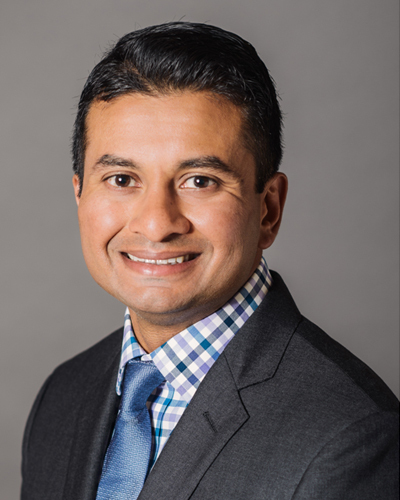 In 2005, Dr. Nath started his journey in the field of dentistry when he was admitted to the University of California, San Francisco School of Dentistry (UCSF). After graduating with a doctorate of dental surgery Dr. Nath sought further training at Native American Health Center where he completed a 2 year residency in advanced education in general dentistry. During this time he treated many complex cases of periodontal disease and became increasingly interested in furthering his knowledge and skill in surgical therapy, subsequently he attended Oregon Health and Sciences University in Portland, Oregon where he completed a 3 year specialty training program in Periodontal Surgery. Dr. Nath is active organized dentistry working in outreach programs for the San Francisco Dental Society as well as dental mission trips to the Phillipines to provide dental services to underserved communities. Dr. Nath regularly attends continuing education courses to stay at the cutting edge of science and technology using the most minimally invasive techniques available. When Dr. Nath is not in the office you can find him outside hiking, backpacking and mountain biking.